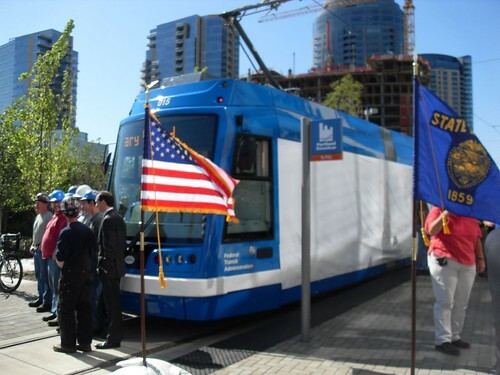 I attended my second ‘first ride’ in two days as Transportation Secretary Ray LaHood visited Portland for the first passenger trip on the first made-in-USA Streetcar in 60 years. 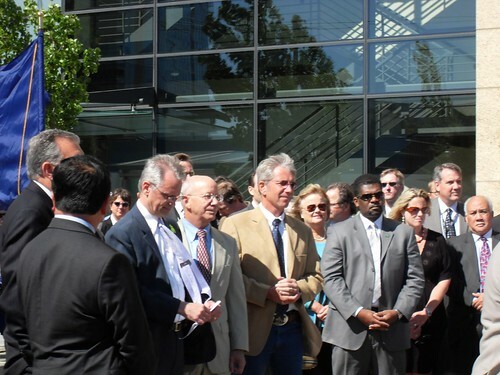 Our congressional delegation effused over job creation, sustainability and mom and apple pie in front of the vehicle built by Oregon Iron Works. A full photo roll after the jump. 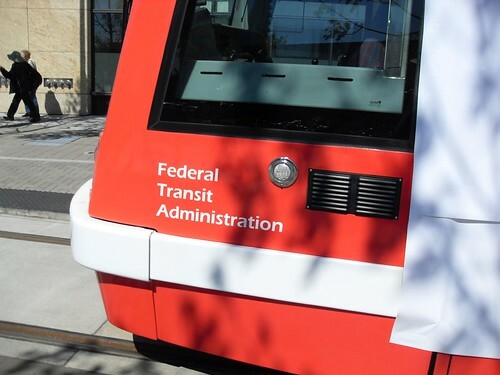 The vehicle is expected to enter revenue service on Portland’s streets in early July. 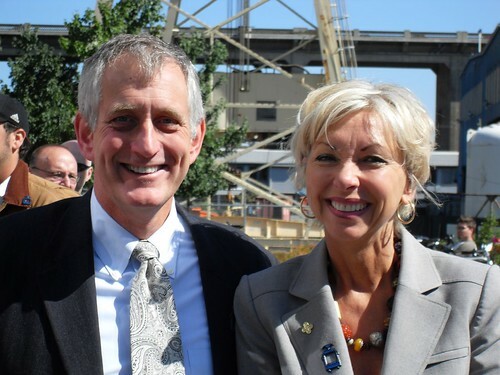 Charlie Hales may not have been the father of the Portland Streetcar, but he was certainly the mid-wife. 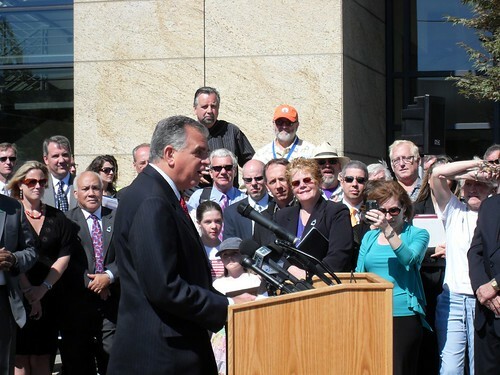 Secretary LaHood called Portland the “Capital of Transportation, Capital of Sustainability, Capital of Streetcars! It was not lost on Congressman Blumenaur that today’s event was surrounded by bikes. FYI, Video interviews with Reps. DeFazio and Blumenauer will be posted here late tonight or early tomorrow. Video interviews with Reps. DeFazio and Blumenauer will be posted here late tonight or early tomorrow. But one question: Is the “MADE IN USA” going to stay on there? 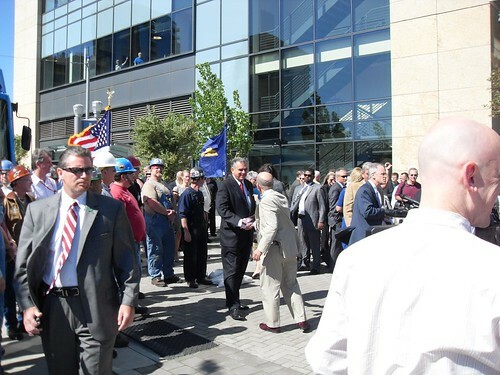 I got the full speeches, although I don’t know if people will be bored to death by all the platitudes and mutual thanks… however I do plan on uploading at least Secretary LaHood’s full remarks. Is the “MADE IN USA” going to stay on there? I had an appointment reschedule, so I’m putting together the LaHood speech and will have it posted in about 30 minutes. when will the car be running trials? will it be common to see in testing service? i saw it after hours a few nights ago and i’m pretty sure i saw it go by this morning in downtown. was i just lucky or will this be common? This is so exciting! USA! USA! USA! Chris: May I use your flickr pictures on my blog? It’s actually been out quite a bit (after midnight) for burn-in (without the “made in usa” decals). I expect we’ll see more of it, but I don’t know if the decals will stay on. Daniel, Portland Transport’s Flickr stream (with the exception of some content we get from other folks, which is so marked) is under Creative Commons non-commercial, attribution required, license, so you are welcome to use the picture on those terms (basically you just have to credit Portland Transport). 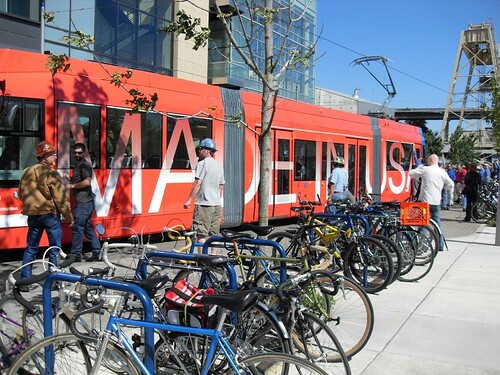 Even though I’ve ranted about the prices we pay for Portland’ streetcars vs other cities (over 3x as much now) I gotta say I do have a point of pride and happiness in seeing that “Made in USA”. At least I know most of that money is building part of our economy instead of funneling out to goodness only knows where. instead of funneling out to goodness only knows where. 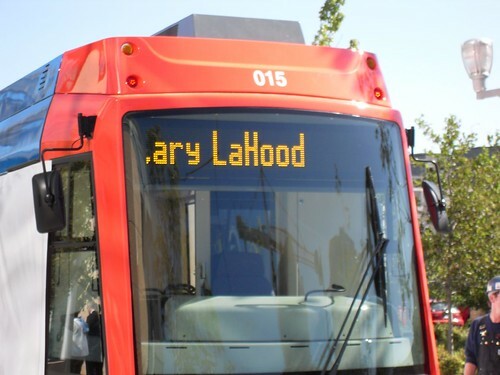 it says car 015, arent there only 10 cars in the fleet? vs. what other cities? dont they all have the same streetcars as portland? Thanks Chris, good to know! 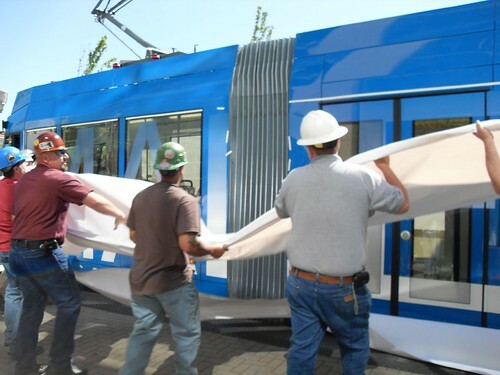 I saw the new streetcar up close around the vicinity of PSU this morning around 7:30-ish. Other than noticing the “Made in USA” on the side, I didn’t think much of it. I totally meant to say I noticed the “Made in USA,” but walked by it not thinking of it. This is really a sight to see. The “Made in USA” mantra is best used in Portland, we do it best! I wrote a blog post about this, with the aid of this post over at my own blog! Be sure to check it out! 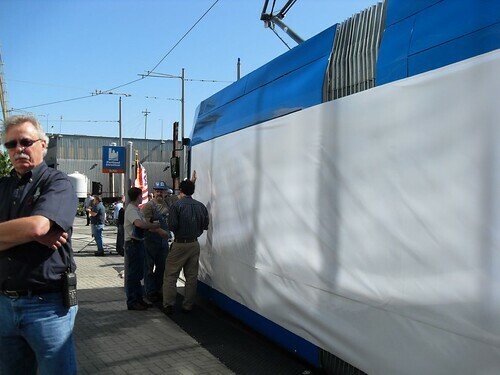 I’m sure all the folks out in the suburbs are celebrating the new street cars while they are making plans to find a new place to live since their service is being cut so that Portland can have this new toy. At least its made in America, that’s better than nothing I suppose.